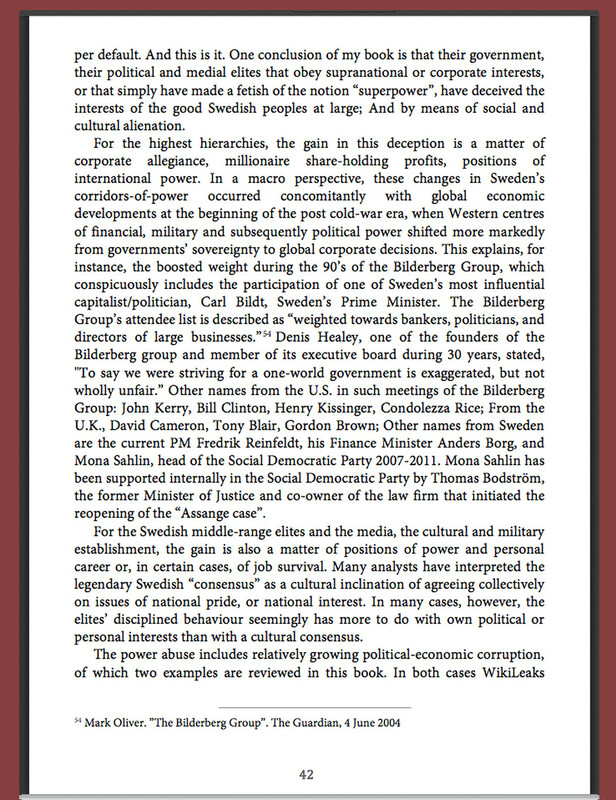 What would explain Swedes’ odd unquestioning-behaviour towards their political rulers? 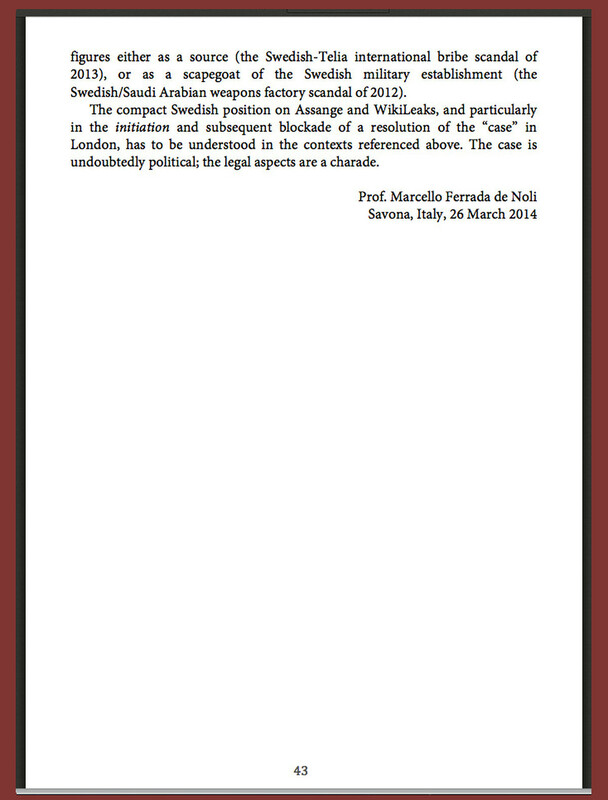 However, the content in the cited text can only be properly understood in its full context. For which, I post the excerpt below. 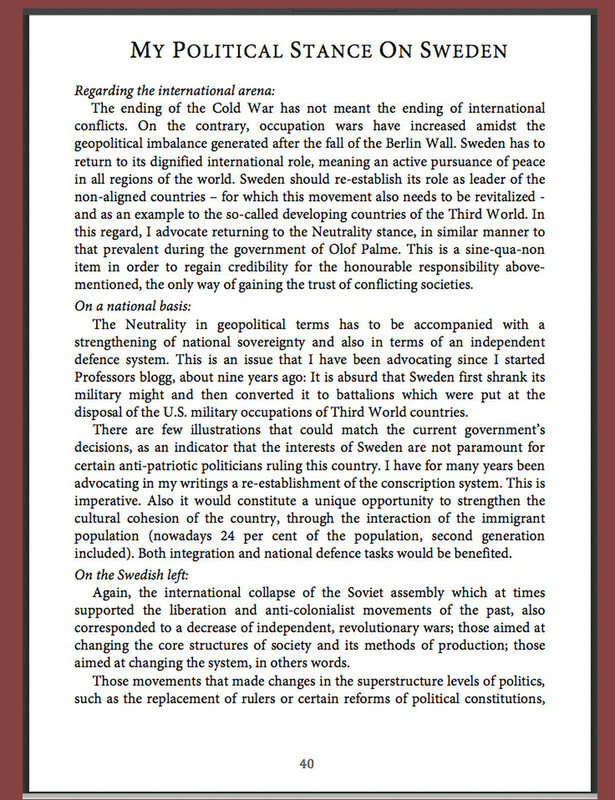 I have to clarify as well, that the events in the past months (as viewed in Sweden) around the Ukraine crisis, the NATO-participation issue and the apparently rising of the hate against immigrants, provides an important addition in explaining such “Swedes’ odd unquestioning-behaviour towards their political rulers”. 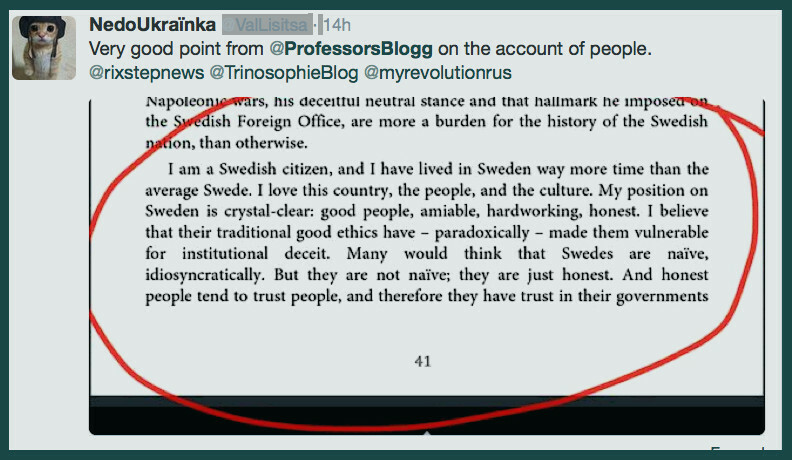 Namely, the extreme manipulation conducted by the Swedish stream media towards the public, principally by “public service” Swedish TV and Swedish Radio. A thematic that Professors’ Blog shall soon be dealing with in these columns. The Seven Pillars Of Deception. 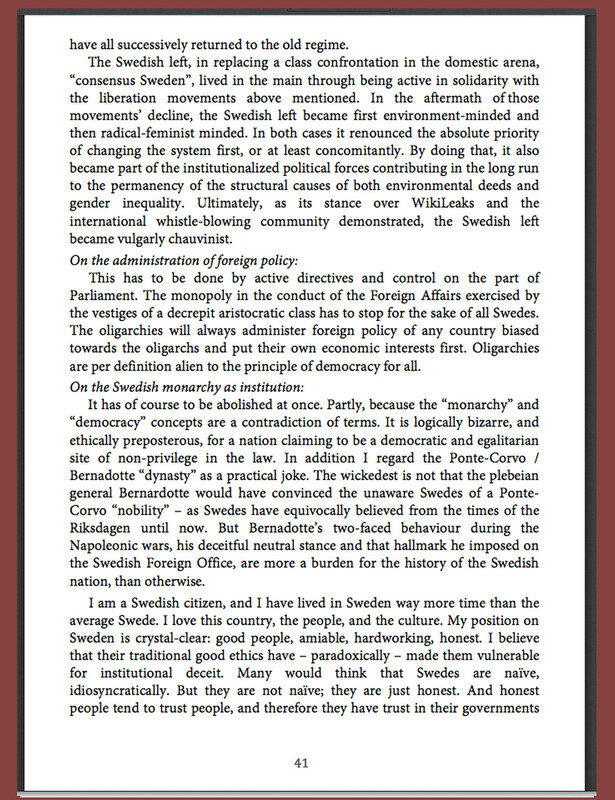 Part I – Is Sweden Motivated by Revenge? ← Viktoria Shilova, leader of ANTIWAR, facing prosecution in Ukraine.